Biomet Orthopedics marketed its M2a Magnum hip replacement device as more durable and offering more mobility than other hip replacement devices. However, some patients who have had the Biomet hip replacement surgically implanted have reported serious side effects. Multiple Biomet hip lawsuits claim that the M2a caused serious complications, in some cases requiring removal through revision surgery. In early 2014, Biomet agreed to pay out a settlement total of $56 million to plaintiffs who had filed lawsuits because of serious complications with their M2a 38 or M2a Magnum hip replacements. To qualify for proceeds from the settlement, plaintiffs must file suit by April 15, 2014. Each qualifying plaintiff is expected to receive a base settlement of $200,000 each. 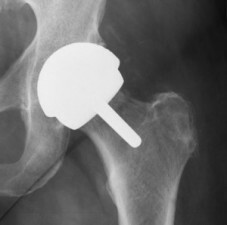 Despite agreeing to the settlement, the manufacturer maintains that plaintiff injuries are not due to the hip implants. Neither the manufacturer nor the FDA (Food and Drug Administration) has implemented a Biomet hip replacement recall. Biomet Orthopedics introduced its first metal-backed acetabular cup hip replacement device in 1980. This type of device, which is basically a metal ball inside a metal cup that attempts to replicate a person’s natural hip joint, soon became the industry standard. Biomet built on this success to transform itself from a struggling Midwestern medical device manufacturer into a global participant in a multi-billion dollar industry. Biomet markets itself as a device manufacturer for younger adults. A series of paid endorsers, including former Olympic gymnast Mary Lou Retton, claim that a Biomet hip replacement allows adults to resume their active lifestyles. In 2012, Biomet agreed to pay $22 million in a settlement with the U.S. Securities and Exchange Commission (SEC), after the government watchdog agency found evidence that Biomet had engaged in foreign bribery and violations of the Foreign Corrupt Practices Act (FCPA). The SEC accused Biomet and its subsidiaries of bribing doctors in Argentina, Brazil, and China for more than a decade to increase sales of its orthopedic products, including joint replacement systems. Biomet manufactures and sells a number of joint replacement devices for the hip, shoulder, knee and other joints. E1 Antioxidant Infused Technology products: Biomet claims that infusing a metal-on-polyurethane device’s cup and liner with Vitamin E increases the hip replacement’s device lifespan, which should normally be between 15 and 20 years. M2a-Magnum: The M2a and other metal-on-metal (MOM) hip replacement devices are designed to be more durable and last longer than other similar devices, since both the cup and ball are metallic. Although the M2a and other MOM hip implants were supposedly an improvement over the older metal-on-polyurethane designs, the M2a has recently been linked with a number of serious hip replacement complications. Normal friction in the device can cause the metal to flake off. These metallic fragments can cause inflammation, swelling and intense pain in the hip area. Once the fragments enter the patient’s bloodstream, the patient can develop metallosis. Especially in female patients, metallosis is a serious condition that can cause adverse reactions over the entire body, as the metallic-based infection spreads. Whether the patient’s side effects are localized or generalized, revision surgery to completely remove the hip device may be the patient’s only solution. Most surgeons consider revision surgery to be an absolute last resort because of the dangers and complexities involved. The mortality rate in revision surgery is two and a half times greater than the mortality rate in basic hip replacement surgery. As for the surgical procedure itself, the first step is to dislocate the patient’s hip. Then the surgeon may use a series of bone grafts to rebuild the joint. Surgical screws are usually necessary to hold the bone grafts in place. Almost all patients experience pain and some mobility loss as a result of revision surgery for failed hip devices. In some cases, additional revision surgery or surgeries may be needed. As early as 2008, the FDA began receiving Manufacturer and User Device Experience (MAUDE) reports about the M2a. Patients reported that excess friction caused the metal parts to wear out much sooner than anticipated; the metal flakes caused intense hip pain. Other patients reported that the M2a had shifted or migrated and was no longer as effective. Still other patients had to have the implants completely removed and start the whole process over again. Ultimately, late in 2010, the American Academy of Orthopedic Surgeons listed “red flags” with MOM hip implants as the most important news item of the year. The FDA updates the MAUDE database weekly to ensure that the public has the most recent information available regarding a device’s safety and efficiency. Meanwhile, the number of injured plaintiffs seeking damages from the manufacturer by means of Biomet hip replacement lawsuits continues to grow. Biomet’s website briefly acknowledges the reports of M2a side effects, but points to a number of studies which show that the M2a is safe and effective. The federal courts recently consolidated M2a Biomet hip lawsuits into Multi-District Litigation (MDL) in the Northern District of Indiana. Over 800 lawsuits are currently joined in MDL No. 2391. The MDL order means that future lawsuits can be filed in that same court, to increase judicial efficiency and eliminate the possibility of conflicting and inconsistent rulings from different courts. Most of these lawsuits allege misconduct on behalf of Biomet. Premature Failure: The plaintiffs allege that the M2a did not last as long as Biomet claimed it would last, and that the MOM design is inherently defective. Side Effects: The plaintiffs claim that Biomet knew or should have known that its hip replacement devices may cause serious side effects, and Biomet did nothing to warn patients or doctors about these side effects. Negligence: A medical device manufacturer has a duty of care to its patients and customers, meaning that the manufacturer must be reasonably certain that its product is safe and effective. If the manufacturer breaches that duty, and that breach causes the plaintiff injury, that manufacturer is legally negligent and legally obligated to provide fair compensation to the victim. Many more Biomet hip replacement lawsuits are expected to join the ongoing MDL in Indiana. Biomet agreed to the terms of a $56 million settlement with qualifying plaintiffs who file their complaints by the April 15, 2014 deadline. $50 million is to be divided amongst plaintiffs (approximately $200,000 each) and $6 million for plaintiffs’ attorneys. To qualify for a portion of the settlement, plaintiffs must have received an M2a 38 or M2a Magnum model as a first hip replacement, which was explanted via revision surgery at least 180 days after being implanted. Plaintiffs who accept the terms of the settlement will be legally barred in future from filing any more claims against Biomet. Pre-trial proceedings will continue for cases that are not part of the settlement, with the first trials expected to go before a jury sometime in 2014-15.